We have purchased a safe moving trailer. It is larger than our old one, we can now fit 2 or 3 safes at a time on board. It can carry 12,000 pounds, twice what the old one could. The winch on board is strong enough to pull back down the crack of dawn. All this will save time and money for our customers. In addition, it can be raised and lowered with a flip of a switch, from ground level, to traveling level, to high enough to clear several steps, for ease of loading and unloading. A fork lift may not be needed. I gave it the nickname of Popeye, because of the large cylinders on the sides that resemble Popeye’s forearms. 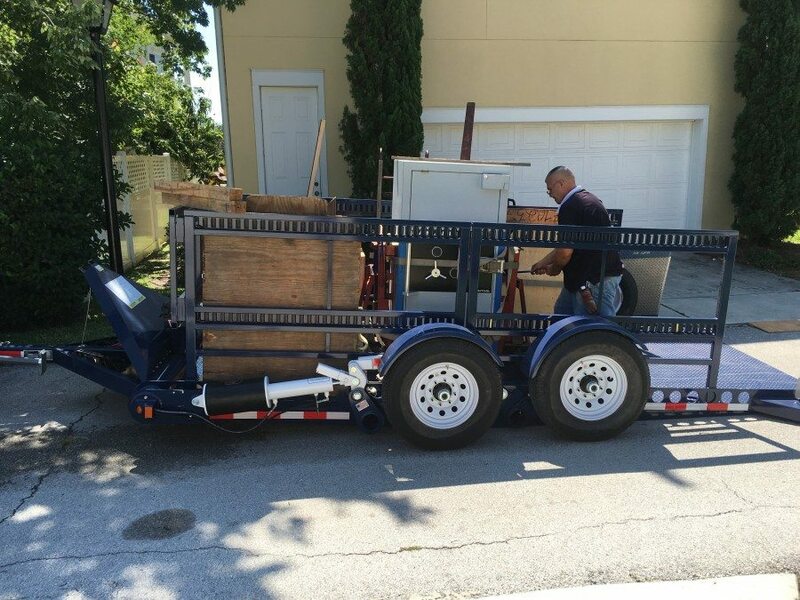 This trailer is state of the art for a safe moving business. I do not know of any other like this one in Southwest Florida. 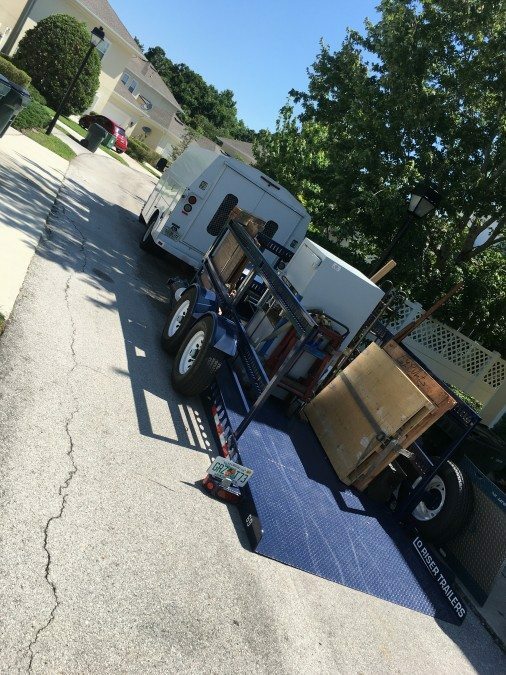 Our new, state-of-the-art safe moving trailer. The view from the rear of the trailer. 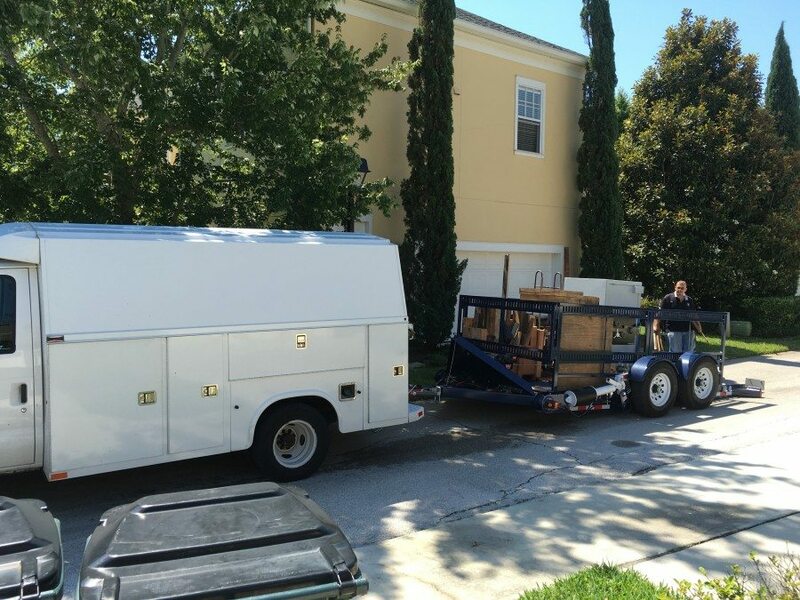 We moved this 3,500 pound safe from Disney Celebration to Nokomis. 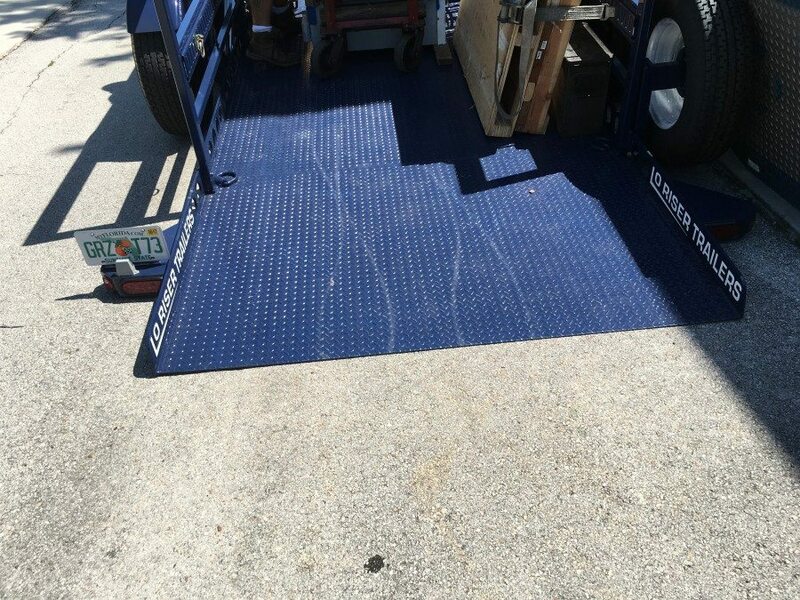 Here is the loading ramp at ground level with only a 4% grade for loading.